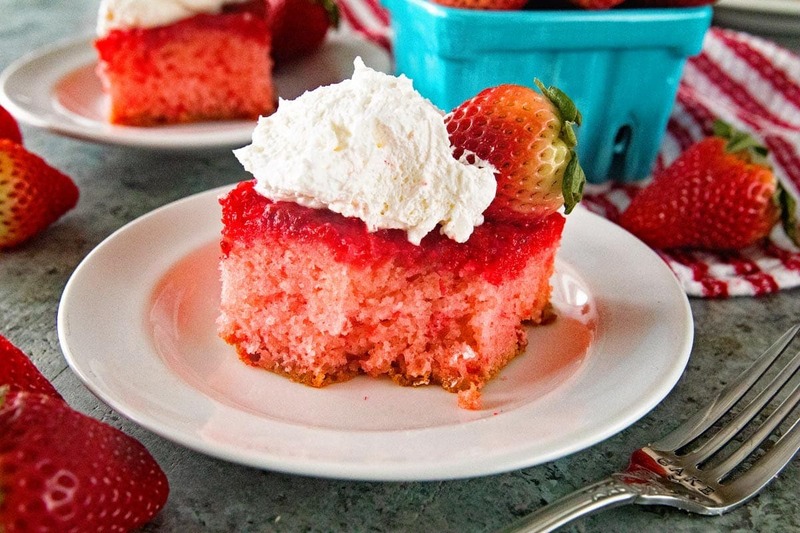 Take your two cups of strawberries and crush them with a fork. Pour into a greased 9×13 in cake pan. Sprinkle strawberry Jell-O over the top of the strawberries. Then sprinkle the marshmallows over the Jell-O.